This week I had the pleasure of sitting down with Donna Carbone, MUFON State Director for Nevada, for an exclusive interview. 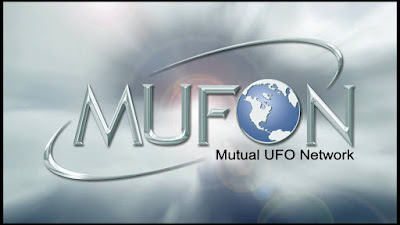 MUFON is a worldwide organization that is a run mainly by volunteers. The acronym means Mutual UFO Network. 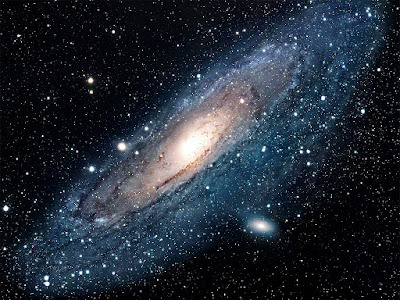 The organization is the world's oldest and largest UFO phenomenon investigative body, seeking answers to that most ancient of questions, "Are we alone in the universe?" MUFON consists of experts in the UFO field - government officials, entertainers, scientists, medical doctors, and everyday people that have had experiences. "MUFON Nevada has over 250 members in the entire State, and holds a monthly meeting here in Las Vegas bringing in professional speakers in the UFO field," Donna says. "Everybody is welcome to join the group, and if you have seen a UFO, or you are an experiencer (someone who has been taken aboard a craft or had a close encounter), then MUFON Nevada is a safe place to talk about and discuss your experience." “UFO means Unidentified Flying Object. It doesn't mean an alien spacecraft necessarily. It just means something is in the sky that is not identifiable. 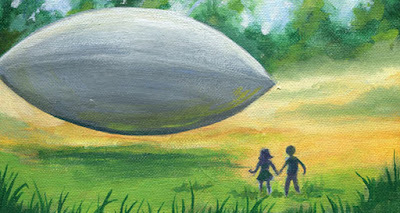 That’s why I dislike the term “UFO" as it can relate to so many things,” Donna says. 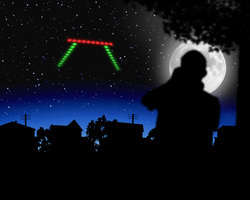 MUFON is contacted by hundreds of people reporting UFO sightings on a monthly basis. Some of them reported seeing a UFO "while smoking outside," others report them while traveling or vacationing. People send recorded videos of "suspicious lights flying around, along with still photos.” Here in Las Vegas many of the videos we receive end up being helicopters on the way back from the Grand Canyon tour, and can fool a lot of vacationers who are not use to our very busy skies. We have McCarran International Airport, Nellis Air Force Base, and all the tourist helicopters and small planes. At night our skies are lit up with so many lights coming and going that sometimes it’s hard to tell what is actually up there. "If you have a sighting of something strange, please do a report at mufon.com, so MUFON can start an investigation on your sighting. Anything that is out of the ordinary we are more than willing to investigate! Structured craft, orbs of light, an actual alien encounter, and anything in-between. If you have videos or photos there is a place to attach them at the bottom of the report". All reports that are sent to mufon.com are forwarded to the MUFON State Director for investigation and follow-up, and are assigned to Field Investigators who will contact the witness and proceed with the investigation. "If investigators cannot establish the validity of a photo, we forward it to headquarters for validation by a team of professional photography specialists." "You can join MUFON by logging into MUFON.com. You'll also receive the MUFON monthly journal, or get an online eJournal, which is filled with terrific information regarding Ufology". "I want to talk about an important issue. It's about personal information. A witness of a sighting will never have any personal information released to the public, unless they allow it to be released by signing a statement stating it is ok that their name becomes public. It’s crucial that a witness understands this as so many witnesses are afraid to allow their name to be used." "We are always looking for new members and for those who want to become Field Investigators to join our team. MUFON chapters are available in every state and are reachable through the MUFON website." 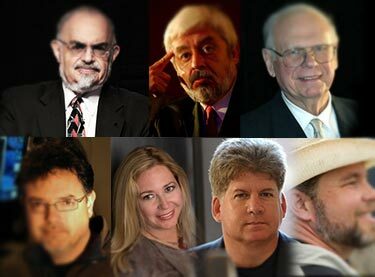 MUFON will be holding it’s 2015 MUFON Symposium: Expanding Ufology, in Irvine, CA, September 24-27, 2015, and will have some amazing speakers! Please see MUFONs website for further information. At the end of the interview she looked at me and said, "I would love for them to come by and take me for a ride.” Wouldn't that be awesome?" Please use this link when you do your shopping at Amazon. They donate 0.5% of the purchase price to MUFON Inc. Vast archive of over 70,000 files gathered over nearly half a century. 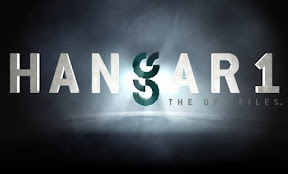 MUFON investigations within Hangar 1 have turned up evidence of amazing otherworldly technological powers, like tractor beams, teleportation, and invisibility. 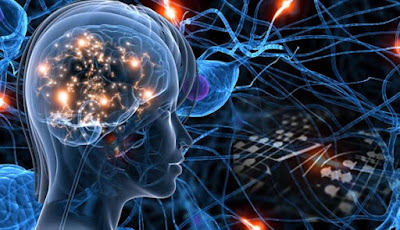 Witnesses who have encountered UFOs have also experienced physiological aftereffects, including x-ray vision and telepathy. Paul Hellyer, Former Defense Minister for Canada. "Universal Control and Dominance"
Aaron Judkins, Biblical Archaeologist. "Return of the Nephilim"
Cheryll Jones, Former CNN News Anchor. "ETs, UFOs and the Media....Past, Present and Future"
Jaime Maussan, TV News Journalist. "Real UFOs Caught on Video"
Linda Zimmermann, Research Chemist and Author. "Hudson Valley UFOs: A Century of Sightings"
Marc d 'Antonio, CEO FX Models, MUFON Chief Photo Analyst. "Light Years to Earth"
Nancy du Tertre, Princeton Graduate and Attorney. "Exolinguistics: How to speak to an alien"
Preston Dennett, UFO Researcher. "Is there an Undersea UFO Base off the California Coast?" Robert Schroeder, Hewlitt Packard, Physicist. 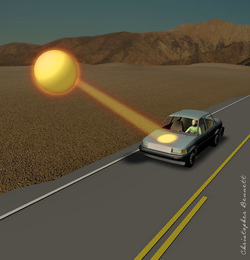 "How Modern Physics is Revealing the Technology of UFOs"
Stanton Friedman, Nuclear Physicist. "Making Ufology Respectable"
Greg V. Meholic, The Aerospace Corporation. "Advanced Space Propulsion for Interstellar Travel"
Master of Ceremonies: John Greenewald, Host: TheBlackVault.com and TV producer-The Discovery Channel.